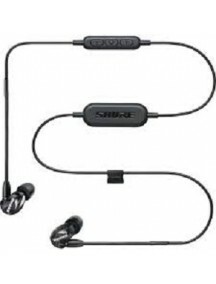 Sound Isolating™ Earphones provide award-winning sound in a secure, over–the-ear design for long-lasting comfort and immersive audio. 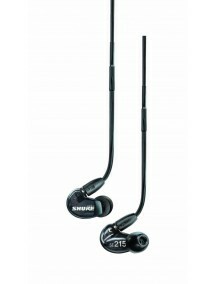 Bluetooth wireless remote + mic controlSensitivity107 dB SPL/mWFrequency Range22 Hz –17.5 kHz / 21 Hz – 17 kHz (SPE)Speaker TypeSingle High-DefinitionImpedance17 Ω..
Garansi Distributor 1 TahunSE112m+ Sound Isolating™ EarphonesThe perfect stereo headset upgrade, fully compatible with all Apple iOS devices, providing great sound with deep bass with impressive sound isolation.Product OverviewGreat Sound with Deep BassSound Isolating DesignInline three-button remote + microphoneSpeaker Type: Single Dynamic MicroDriverIncluded Fit KitGray ColorTech Specs..
Garansi Distributor 1 TahunSE112 Sound Isolating™ EarphonesFeaturing Dynamic MicroDrivers, the SE112 delivers great sound with deep bass and impressive sound isolation, for a perfect audio upgrade with today’s portable digital devices.Product OverviewGreat Sound with Deep BassSound Isolating DesignSpeaker Type: Single Dynamic MicroDriverIncluded Fit KitGray ColorTech SpecsSpeak..
Garansi Distributor 1 TahunSE215 Sound Isolating EarphonesThe SE215 Sound Isolating Earphone features a Dynamic MicroDriver for a warm, detailed sound. 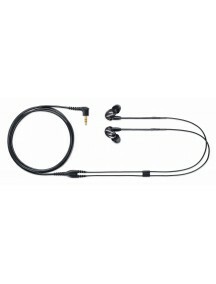 A detachable, reinforced cable with formable wire allows for easy replacement and secure, comfortable fit.FeaturesSound Isolating Design, shields over 90% of the ambient noiseDynamic MicroDriver deliver detailed, warm, sound qua..
Tipe speaker : Dynamic MicroDriverTingkat kepekaan (1 kHz) : 107 dB SPL/mWImpendansi : 20 ΩJarak Frekuensi : 22 Hz – 17.5 kHzPanjang kabel : 162 cmTipe Jack : 3,5 mmBerat : 0.3 kg..
1 Year Distributor WarrantySE215 Sound Isolating Earphones, Special EditionFeaturing Dynamic MicroDrivers, the SE215 has a newly tuned acoustic network to deliver detailed sound with extended low frequencyperformance. 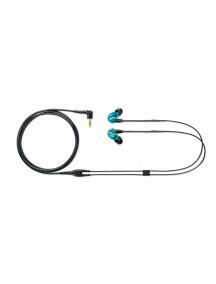 A distinctive translucent blue earphone color offers an exclusive look, and a detachable cable and multiple sleeve sizes ensure a comfortable fit and lifetime of use.N..
Garansi Distributor 1 TahunSE535 Sound Isolating EarphonesThe SE535 utilizes Triple High Definition MicroDrivers – a dedicated tweeter and dual woofers for incredibly spacious sound and rich bass. 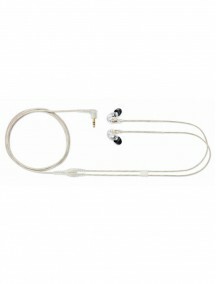 It is the choice for discerning professionals and audiophiles. 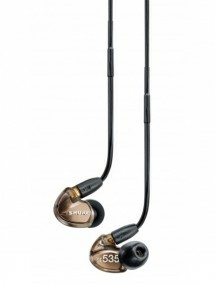 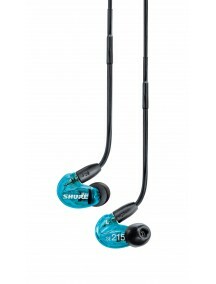 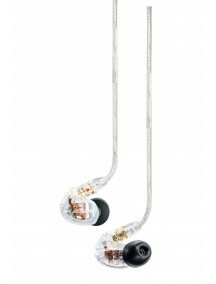 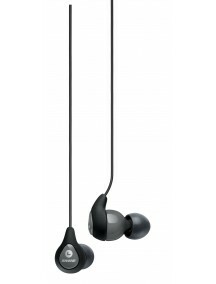 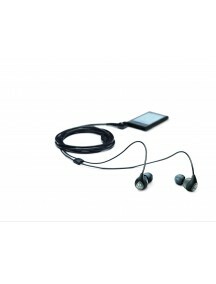 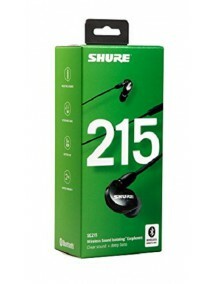 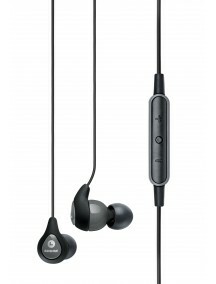 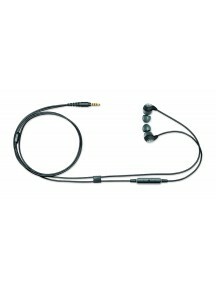 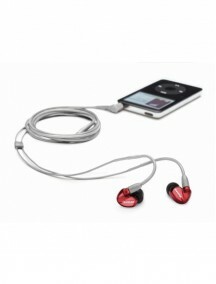 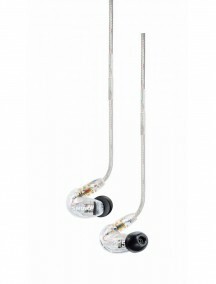 The SE535 is ideal for in-ear personal monitoring and for mobile listening devices. 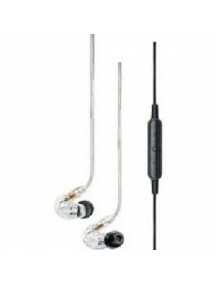 The detachable, reinforced cable with formable wire allo..
Garansi Distributor 1 TahunSE535 Sound Isolating™ Earphones Special EditionThe SE535 Special Edition utilizes Triple High Definition MicroDrivers – a dedicated tweeter and dual woofers for incredibly spacious sound and rich bass. A newly tuned acoustic network delivers enhanced high frequency performance, while a distinctive red and gray color scheme offers an exclusive look. 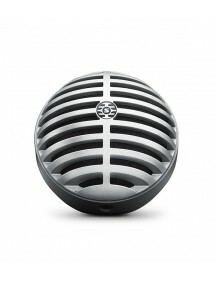 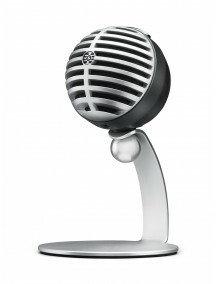 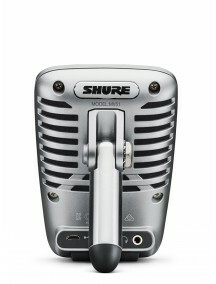 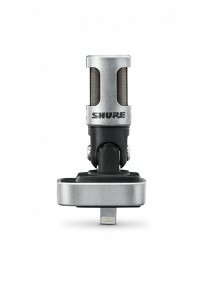 It is the c..
1 Year Distributor WarrantyMOTIV MV5 Digital Condenser MicrophonePortable digital condenser microphone with desktop stand and 3 preset modes for studio-quality home recording, podcasting via iOS, Mac, PC.The MOTIV MV5 Digital Condenser Microphone provides high-quality plug and play audio capture with any iOS, Mac, PC. 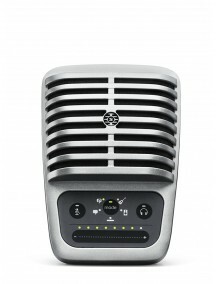 The MV5 features three onboard preset modes to quickly dial ..
Garansi Distributor 1 TahunMOTIV™ MV51 Digital Large-Diaphragm Condenser MicrophoneThe MOTIV MV51 Digital Large-Diaphragm condenser microphone is specifically engineered for high fidelity audio capture, seamlessly integrating via iOS, Mac, PC to provide studio-quality home recording and video production. 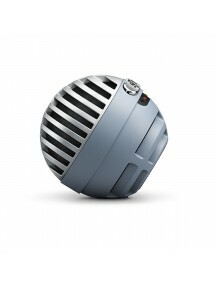 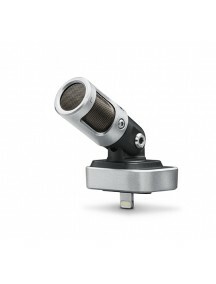 The 1 inch capsule element provides unmatched audio results, which are easily monito..
1 Year Distributor WarrantyMOTIV™ MV88 iOS Digital Stereo Condenser MicrophoneDigital stereo condenser microphone for mobile high-fidelity recording of live performance, interviews and home recording via Apple devices with Lightning connectors.Features :MFi Certified Compatible with all iOS devices equipped with a Lightning® connectorMatched Cardioid and Bi-Directional 1cm Cart..
Sensitivity107 dB SPL/mWFrequency Range22 Hz –17.5 kHz / 21 Hz – 17 kHz (SPE)Speaker TypeSingle High-DefinitionImpedance17 Ω 3,5mm Remote + mic for apple & androidAdd..
SE215 Sound Isolating™ Earphones provide award-winning sound in a secure, over–the-ear design for long-lasting comfort and immersive audio. 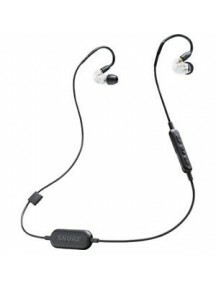 Bluetooth wireless remote + micSensitivity107 dB SPL/mWFrequency Range22 Hz –17.5 kHz / 21 Hz – 17 kHz (SPE)Speaker TypeSingle High-DefinitionImpedance17 Ω..